With wedding season upon us, you need a comfortable, dressy, and versatile sandal like the Born Missoula. 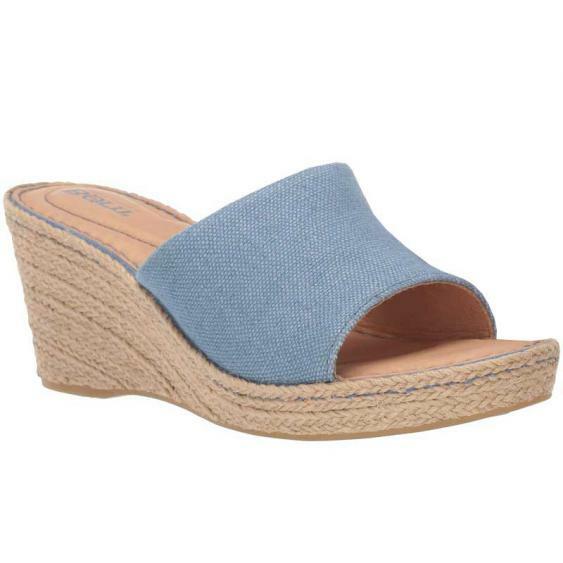 This wedge sandal has a fabric upper with leather linings and a jute-wrapped wedge perfect for warm weather. Born’s Opanka Construction keeps the Missoula lightweight even with a 3” wedge and the rubber outsole gives you traction and stability. With natural details, the Born Missoula is sure to freshen up your wedding wear.